Are you an executive looking for a stylish, yet functional set to complete your office space? How about adding some spice to your home office? Look no further than the Halter 2 Piece Organization Set. 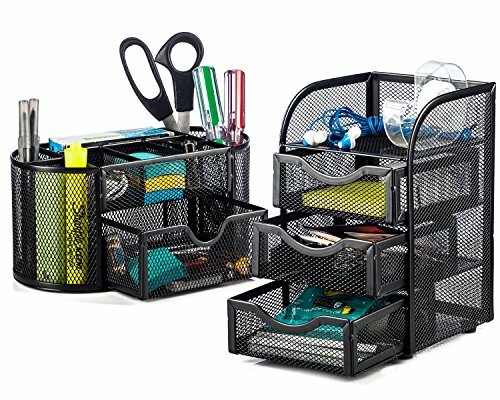 It truly is a head turner, while keeping your work space organized and free of clutter. Features: - Enhance your desktop by creating more storage space and easy access. - The Oval Desk Supply Caddy comes complete with 8 compartments and a pull out drawer to hold your pens, pencils, sticky notes, paper clips, staples, white out, and much more! - The 3 drawer mini hutch has 3 drawers and an open compartment to store your smaller desk accessories. - Both pieces come with non-skid rubber feet keep your stand stable and protect your desktop surface. 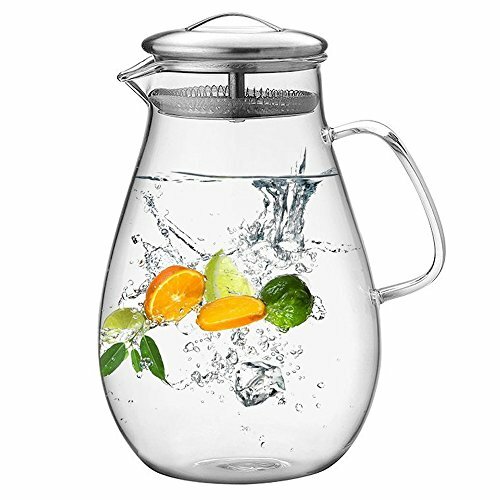 - Can be used on top of your desk, inside a drawer, or on a shelf. Specifications: Oval Desk Supply Caddy Dimensions: 8.75" X 4.5" X 4.25" 3 Drawer Mini Hutch Dimensions: 5" X 5" X 8" Warranty Buy with confidence! Halter offers a 2 year limited warranty on your purchase that protects against product defects. The Target Marketing Systems Two-Toned Tiffany Drop Leaf Dining Table is the Piece Your Home has been Missing. 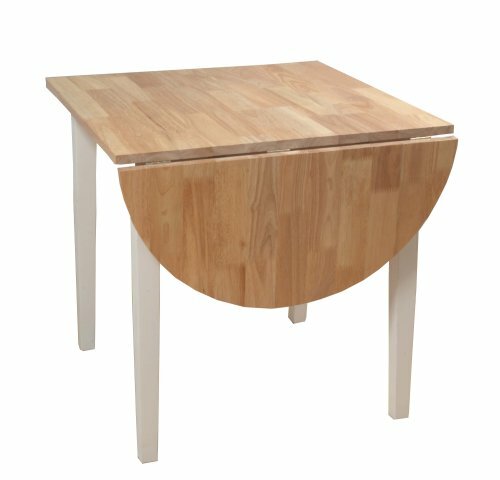 If You are Looking to Save Room or Need an Extra Table for Gatherings, then this Drop Leaf Table is for You. Measuring 30" X 30" X 29" and Expanding from 30" to 44" when Extended, the Drop Leaf Table is the Perfect Size for Two people. The Extension Gives you Enough Space for One More Guest. 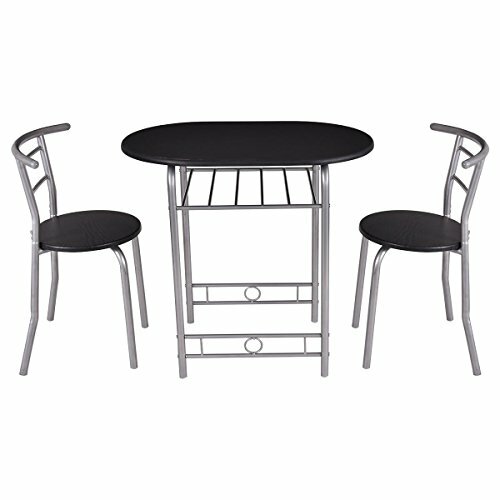 Perfectly Placed in a Breakfast Nook in your Kitchen or Used as an Extra Table for Game Nights, the Dining Table can be Used for Many Purposes. Made from High Quality Rubber Wood, the Drop Leaf Table is Sturdy and Durable. The Beautiful Tapered Legs in a White Finish Paired with the Natural Wood Table Top give the Drop Leaf Table a Classic, Rustic Feel. It will Truly Bring a Homey, Cottage Touch to Your Home. Since 1985, Target Marketing Systems has been Offering Top-Notch Furniture at Affordable Prices. That Goal has not Changed and TMS will Continue to Give You the Best. 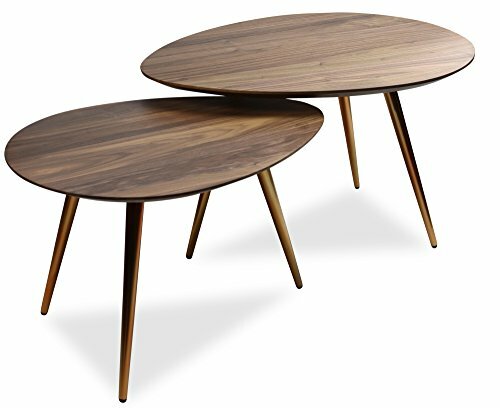 The COLTON MID CENTURY MODERN NESTING COFFEE TABLE SET by EDLOE FINCH This gorgeously chic coffee table set is vivacious and brilliantly refined. The Colton series is our best seller! It is overflowing with unique class and charm that will take your living decor to new heights. It features a smooth, richly grained walnut veneer beveled top and tapered brushed metal legs. To protect flooring, all legs include plastic floor pads. 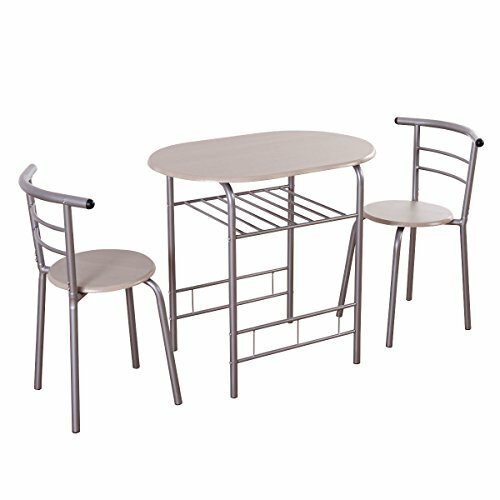 Measuring 20 x 25 x 16 + 25 x 30 x 18, this retro table set is a perfect cocktail or accent table for apartment spaces. The simple chic design of the Colton coffee table also works perfectly in an office. 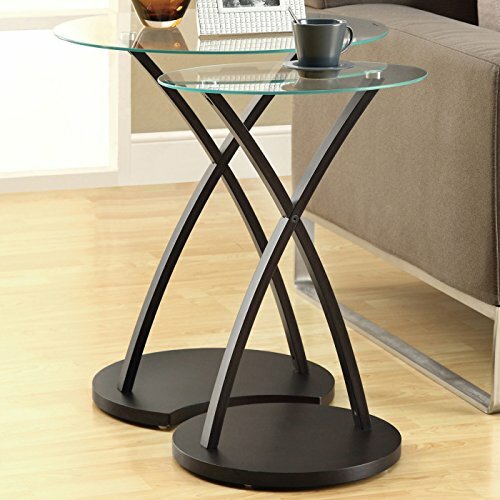 With a thick oval shaped tempered glass tops, this 2 piece nesting table set gives a contemporary style to any room. The beautifully stained cappuccino "bentwood" legs provide sturdy support with elegance. Use this multifunctional set as end tables, snack tables, decorative display tables, or simply accent pieces in your living room, family room, office, or den. 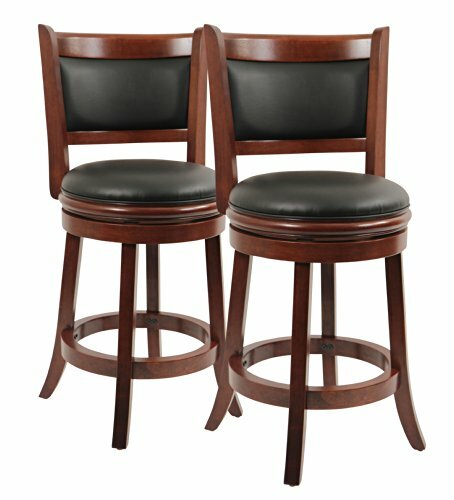 The Augusta is the ultimate barstool. Simple in design and features this barstool will fit into any home. Reliable and durable this piece is sure to last. Available in three different finishes, the Augusta will be perfect in any living space. Recommended for residential use only. Note: Seat height is measurement from floor to base of seat, and does not include additional height for seat cushion. 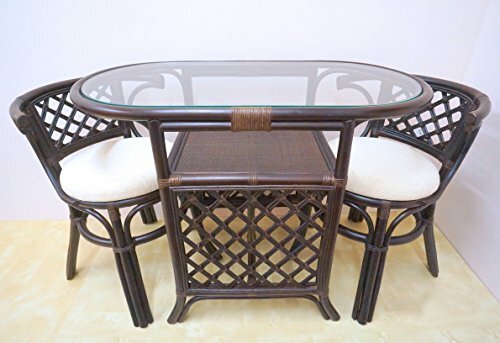 Compare prices on 2 Piece Oval Table at ShopPlanetUp.com – use promo codes and coupons for best offers and deals. We work hard to get you amazing deals and collect all available offers online and represent it in one place for the customers. Now our visitors can leverage benefits of big brands and heavy discounts available for that day and for famous brands.